Marcus Chown is one of the UK's best writers on physics and astronomy - it's excellent to see him back on what he does best. Here we discover our gradual approach to understanding the nature of gravity - the 'ascent' of the title - which, though perhaps slightly overblown in the words 'the force that explains everything' (quantum physics does quite a lot too, for example), certainly makes us aware of the importance of this weakest of fundamental forces. Chown's approach to gravity is a game of three halves, as they say, broadly covering Newton, Einstein and where we go from general relativity. As far as the first two sections go, with the exception of the 2015 gravitational waves detection, there's not much that's actually new - if you want a popular science exploration of these aspects of the topic with more depth see this reviewer's Gravity - but no one has covered the topic with such a light touch and joie de vivre as Chown. Although Chown doesn't give us too much character detail on his two key figures, we get good mental sketches of them, enough to get a feel for what kind of personality produced the remarkable work that each was responsible for. There has been a lot written of late criticising science writers for putting too much focus on the 'heroic lone individual' in the history of science. And we certainly get a full power portrayal of this pair as solitary geniuses. But though you can quibble about how original calculus was or whether Einstein should have given more credit to others in his work on special relativity, it's hard to imagine two people in the history of science who more deserve this treatment - and it is far and above the best approach for the kind of storytelling that Chown excels at. The third section has its highs and lows. It gives what I think is the best introduction to string theory at this basic descriptive level I've ever seen, going considerably beyond the basics of vibrating strings and rolled up dimensions. However, I was rather surprised at the total dismissal of string theory's main rival, loop quantum gravity, which literally only appears in an end note. In one sense this was refreshing. I had read so much pointing out the flaws in string theory and how it arguably wasn't even science because of its inability to make useful predictions that I had pretty much mentally dismissed it. It seemed very reasonable that the only thing that kept it alive was the large number of careers that had been dedicated to it. Chown, however, gives it a spirited defence which, while not necessarily clinching, certainly made it possible to understand why so many physicists found it attractive. 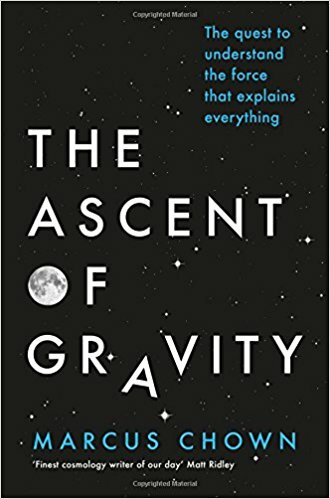 Overall, then, a very readable exploration of humanity's gradual realisation of what gravity was about with all of Chown's usual sparkle. It would have been good if we had seen a little more of the points where things aren't set in stone - for example the alternatives to dark matter or that elusive loop quantum gravity - but what we get is a delight.